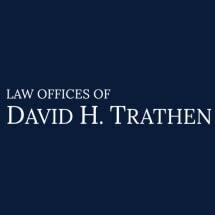 At the Law Offices of David H. Trathen, I provide personalized and accessible legal assistance in criminal defense, family law, estate planning, and estate administration and probate to clients in the Columbia County, Pennsylvania, area. My law office is conveniently located on Main Street in downtown Bloomsburg, one block from the Columbia County courthouse and within walking distance of Bloomsburg University. With more than 18 years of experience, I understand how the Pennsylvania legal system works and how to help you obtain the favorable and efficient results you deserve. My law firm is small by design. From the beginning of your case until its resolution, you will work directly with me. As your lawyer, I take great care to respond to your calls and emails as quickly as possible, all in an effort to help answer your questions and address your concerns as they arise. My experience and knowledge of various legal practice areas allow me to provide assistance to clients who have been charged with a crime, are undergoing a divorce or other family law proceeding, require assistance completing an effective estate plan, or need assistance with a Pennsylvania probate proceeding. I believe that your ability to make informed decisions can directly impact your proceedings. With that in mind, I strive to help you understand your situation, your options for addressing your concerns and what you can expect from the process before you. To discuss your criminal defense, family law, estate planning, or estate administration and probate case with an experienced and compassionate Columbia County attorney, contact the Law Offices of David H. Trathen online or call 570-284-3088 or toll free 877-772-5261 to discuss your specific legal concerns and learn how I can be of assistance. Mon. 8 am to 4 pm. Tue. to Fri. 8am to 5 pm.